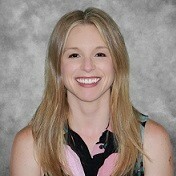 Dr. Rachel Waford Hall is a Licensed Clinical Psychologist that joined the Georgia Behavioral Health Professionals group in May 2018. Dr. Waford provides individual and family therapy services for adolescents and adults struggling with severe mental illnesses. She earned her Ph.D. in Clinical Psychology from the University of Louisville. She completed her Pre-Doctoral Internship in First Episode Psychosis at Harvard Med School and Post-Doctoral Fellowship at Emory University Grady Health System. Dr. Waford obtained her psychologist licensure in Georgia. Dr. Waford is a part of the Community Friendship, Inc. Board of Directors and is an assistant professor at Emory University School of Public Health and Emory School of Medicine. In 2016, Dr. Waford was a NAMI Georgia Keynote speaker. Dr. Waford has her own published book: lati, C & Waford, R (2015). The Psychosis Response Guide. How to help young people psychiatric crises. Springer Publishing: New York.